WATCH Could the trendy alternate-day fasting diet be putting you in danger? If you have a friend who suggests grabbing dinner at 5 p.m., or a co-worker who you see eating her first meal at noon, she is probably doing the latest wellness trend: Intermittent fasting. The idea of fasting is, of course, thousands of years old but the idea of fasting for a certain time period every day has more recently become a buzzy wellness trend. The good news, according to experts, is that this is one nutrition trend that is safe and effective. "It's nice when something is popular and actually safe," said Robin Foroutan, a registered dietitian nutritionist at the Morrison Center in New York City and a national spokesperson for the Academy of Nutrition and Dietetics. Here are 10 questions answered about intermittent fasting (IF). Intermittent fasting is simply limiting the times during which you eat. The eating patterns in fasting range from alternate day fasting -- where you fast for 24 hours and then eat normally the next 24 hours -- to a plan like the 5:2 diet where you fast for two days of the week and eat normally the other five days. An alarm clock with silverware on a plate are pictured in this undated stock photo. The buzziest type of fasting today, and the most practical for most people, is the version of intermittent fasting, or time-restricted feeding, where you eat typically only in an eight-hour time period. This version of IF just pushes your first meal to later in the day and your last meal to earlier in the evening. You can do it tomorrow. One benefit of intermittent fasting is you do not have to go out and buy 5 pounds of kale or grass-fed beef and cook elaborate recipes. You can begin this way of eating with your current diet. The only way to start is to figure out the eating window of time that will work for you and give it a try. 3. Are there specific hours for IF? Foroutan recommends establishing an eating window from around 10 a.m. or 11 a.m. to around 6 or 7 at night. There is no set definition of the hours of intermittent fasting, according to Foroutan. 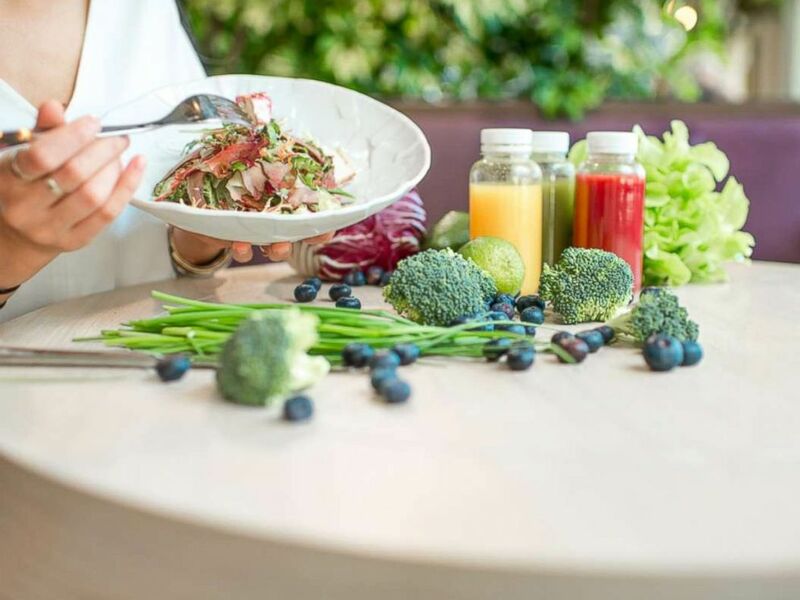 A woman eats a salad at the table full of healthy food ingredients and smoothies in this undated stock photo. There is also no research yet that confirms that eating within a period of 10 hours, for example, is better than eating within a 12-hour time frame, so you can make the plan work for you. 4. Is the advice I've always heard to start the day with breakfast wrong? No. Both pieces of nutritional advice -- to fast and to eat breakfast soon after waking up -- can be right because each individual is so different. "There is no one right way. There is no one right diet for everyone," Foroutan said. "You do have to listen to your body cues." 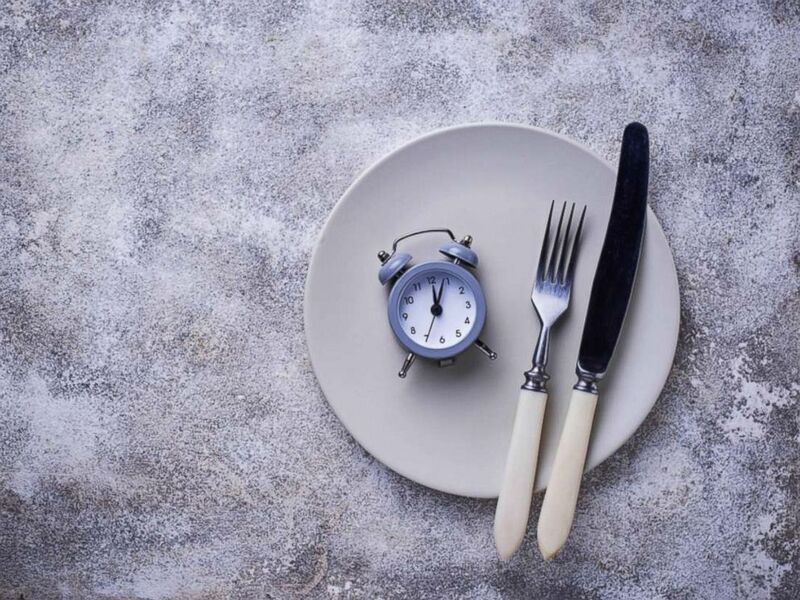 If you are trying intermittent fasting and waking up ravenously hungry, Foroutan recommends shifting your fasting hours forward and eating your first meal earlier. 5. Does it matter what time I stop eating? Yes. You should stop eating at least two hours before you go to bed, according to Foroutan. "The early dinner seems to be the most important according to the research," she said. "Finishing eating at an earlier time is the most beneficial." 6. Do I need to change my diet, too? 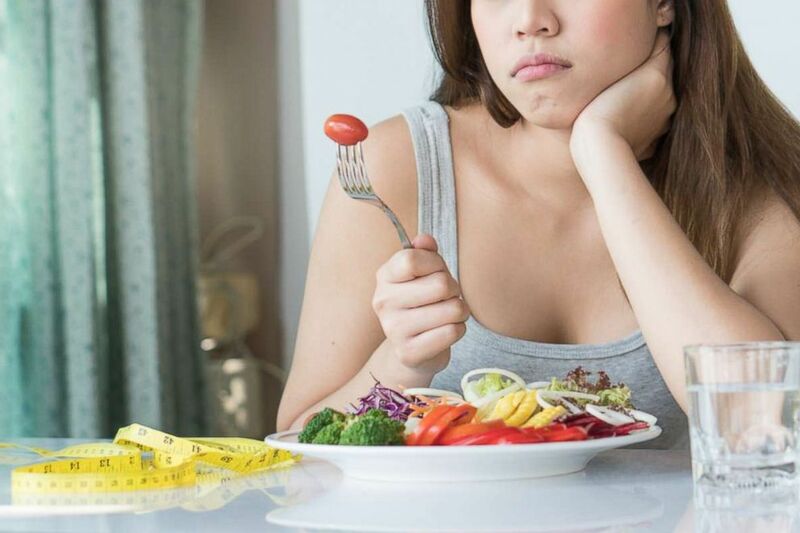 Only if you want to lose weight, according to Dr. Jason Fung, founder of the Intensive Dietary Management (IDM) Coaching Program. "If you want to maximize fasting, you should really stick to a whole, non-processed foods diet," he said. "But even if you eat exactly the same thing but eat in a concentrated period of time, research shows there are still benefits, that your insulin levels are lower and your insulin resistance is lower." A women on a diet looks at a tomato on the fork in this undated stock photo. He added, "And when you eat in a concentrated period of time, you tend to eat less overall." 7. What if my stomach starts growling while I'm fasting? In general, the advice is to keep going with your fast, but listen to your body. "You are going to get hungry because you’re used to eating three times a day," Fung said. "But the hunger doesn’t continue to rise. If you don’t eat, then the hunger hormone, ghrelin, goes back down to baseline." People who are intermittent fasting should stay well hydrated. In addition to water, coffee, green tea and bone broth may be options to consume during fasting hours, depending on the guidelines you've set. Listen to your body and keep in mind that the goal of intermittent fasting is to feel better, not worse, Foroutan said. "If you are dragging through the day with headaches and you're hungry and you're distracted and can't think, you're probably not doing it right or this plan isn't for you," she said. "You should be feeling better in the short term, too." 8. What are the health benefits of intermittent fasting? Research shows that, overall, intermittent fasting helps decrease cholesterol, decrease insulin in the blood, results in some weight loss and reduces inflammatory markers. However, more studies are needed to determine whether intermittent fasting improves actual diseases like heart disease and diabetes, experts say. In healthy, normal weight, overweight or obese adults, there is little evidence that intermittent fasting regimens are harmful physically or mentally. It appears that almost any intermittent fasting regimen can result in some weight loss, but more studies are needed to determine whether this weight loss is sustainable, according to the American Heart Association (AHA). Foroutan said she has seen first-hand in her practice intermittent fasting improve things like digestion, gas, bloating and even sleep. 9. What is happening in my body when I fast? When you fast, you are allowing your body to use up its stored food energy and cleaning out excess fat and sugar, according to Fung. "You store food energy when you’re eating and you burn food energy when you’re fasting and it should be a normal cycle," he said. "You don’t have to keep shoving a muffin in your mouth every two hours to stay alive. Your body is able to handle it." 10. Is there anyone who should not do it? Yes, children, people who are underweight or malnourished and people who have a history of eating disorders should not do intermittent fasting, experts say. People with Type 1 diabetes and women who are pregnant or breastfeeding are also cautioned against intermittent fasting, and should only do so with medical guidance.